Home » Music » Chinah: Real Thing? 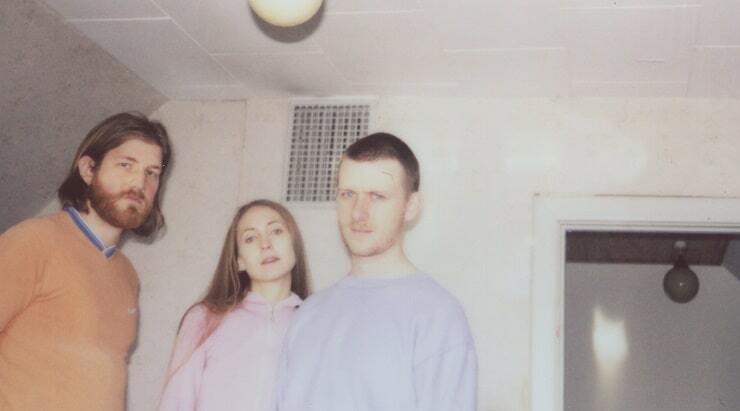 With recent nods from Benji B, Phil Taggart, Red Bull and Highsnobiety, and a no1 spot on the Hype Machine chart, Copenhagen’s CHINAH swiftly follow up ‘Strange Is Better’ and continue teasing their forthcoming debut LP with new single ‘Real Thing?’. The band also announce the London release party for ‘ANYONE’, to be held at Bermondsey Social Club on the 13th November, four days after the long-awaited release on No3. As well as performing new tracks live for the first time, CHINAH will be joined by a host of special guest DJs on the night. Since the release of their first two EP’s ‘Once the Lights Are On’ in 2016 and ‘Hints’ in 2017, the trio – consisting of Fine Glindvad, Simon Kjær and Simon Andersson – have rapidly built their fanbase at home with significant shows in the Danish capital and festival slots at SPOT, NorthSide and Roskilde. Their growing international profile also includes support from national UK radio DJs Benji B and Annie Mac on BBC Radio 1, international tastemakers Stereogum and Pigeons & Planes, as well as leading street style publications The FADER, Nylon and i-D. The Danish trio is constantly evolving with each release and continue to develop their ideas into striking sonic pieces, often encapsulating a disparate blend of genres. ‘Real Thing?’ is another fine example of CHINAH’s ability to produce gripping, thunderous electro bangers and strips away any doubt that ‘ANYONE’ will be anything short of extraordinary.